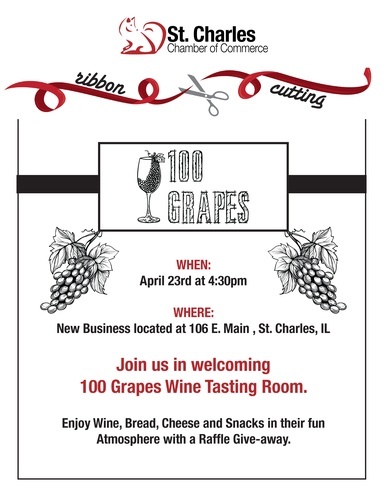 Join us in welcoming 100 Grapes to St Charles! There will be raffle giveaways! "Wife and Husband owned wine tasting room. Selling by the bottle, glass, flight or tasting.